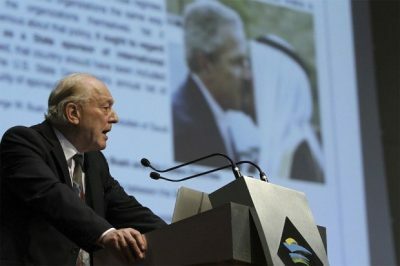 The quote above comes from prominent author and Canadian economist Dr. Michel Chossudovsky, who is Professor emeritus of Economics at the University of Ottawa’s Emeritus Professor of Economics, at the International Conference on the New World Order in Kuala Lumpur (2015), organized and sponsored by the Perdana Global Peace Foundation. You can find a full video of that conference at the end of this article. Who is this group? Well, Dr. Chossudovsky believes it originates with those who control the US, Israel, and other allies, but who is controlling these countries and this massive global agenda? The New World order also deals with legislation that we never really hear about. For example, Malaysia’s Prime Minister Dr. Mahathir Mohamad stated that the Trans Pacific Partnership (TPP) was strategically aimed at dominating the world economy, and marks another step closer to the global dominance of those who orchestrated it. Think about it for a moment, if there is a group of people using various governments to force their will upon the world, heighten the national security state by means of manufactured false flag threats and more, what are we dealing with here? If the same people who are portrayed as patriotic — men and women defending their land and fighting for their country — are actually pursuing terrorists that were created and funded by their own government, what is really going on here? And why do so many politicians, academics and professionals spend their time trying to notify the world, without a peep from mainstream media?